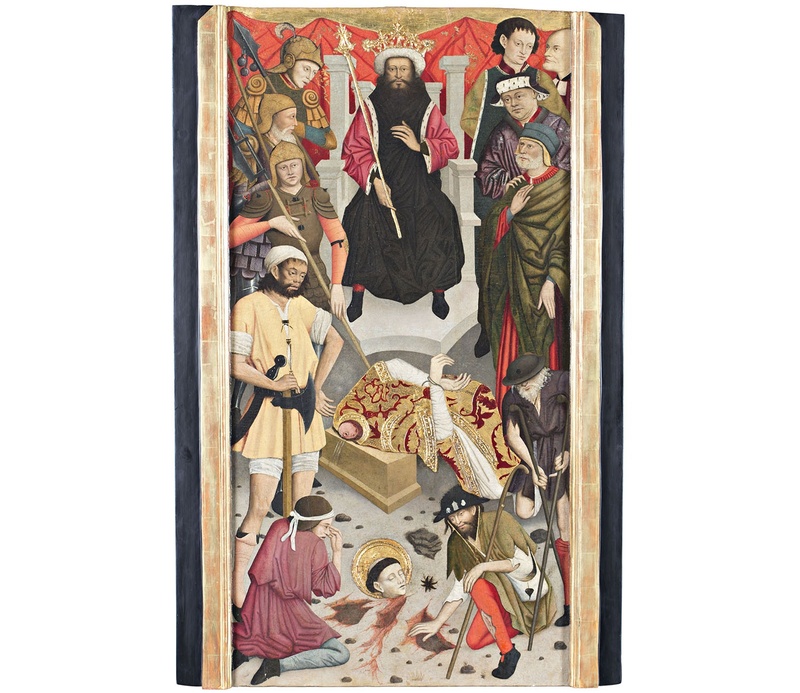 At an auction held in Barcelona on 31 May the Museu Nacional acquired the panel painting by Lluís Dalmau of the Decapitation of Saint Baudilus, from the old Gothic high altarpiece in the parish church of Sant Boi de Llobregat (Baix Llobregat), one of the few works by the painter to have been conserved. The Museu Nacional was able to purchase this exceptional work thanks to the Palarq Foundation, which made a donation to the museum of the total amount necessary to purchase it, €125,000. The Department of Culture exercised the right of first refusal on behalf of the museum. Lluís Dalmau, who was a painter at the court of King Alfons IV the Magnanimous, was one of the principal artists working in Barcelona in the middle of the 15th century. Only two recorded groups from his production have been conserved: the famous Virgin of the "Consellers", made between 1443 and 1445, and the altarpiece from Sant Boi, in 1448. The excellent artistic quality of this panel – which now enters the Museu Nacional’s collection – with respect to the standards of Catalan Gothic painting, together with the scant conservation of Dalmau’s works, make it an extraordinary piece within the context of late Gothic.